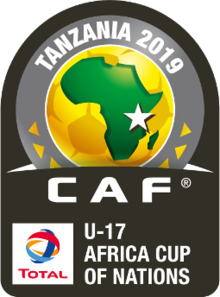 Cameroon’s national under-17 male football team on Monday beat their Guinean counterparts 2-0 to lead Group B of the 2019 U-17 Africa Cup of Nations (AFCON) holding inTanzania. In the Match Day 1 fixture played at the Mbagala-based Chamazi Stadium in Dar es Salaam, Steve Mvoue put Cameroon in the lead by opening scoring in the 42nd minute. Leonel Djouffo extended their lead in the 72nd minute to underline their superiority, in spite of being behind on the stats. They were behind in terms of passes and possession, and bagged five yellow cards as against their foes’ none, but held the advantage in terms of shots on target. In the group’s other match played later, Morocco and Senegal drew 1-1 after Aliou Balde’s 88th minute cancelled out Tawfik Bentayeb’s 47th minute. The News Agency of Nigeria (NAN) reports that the competition had opened on Sunday with Nigeria’s Golden Eaglets beating hosts Tanzania 5-4 in Group A. The group’s other match saw Angola beating Uganda 1-0. The competition continues on Wednesday with Nigeria taking on Angola, and Tanzania facing Uganda later on. The post U17 AFCON: Cameroon beat Guinea, Senegal draw with Morocco appeared first on Sporting Life.